The woman in this story was a client in our AMAC (Adults Molested As Children) support group at the PWC Adult Detention Center many moons ago. She was a single mom whose children were living with her parents at the time. The parents were not very supportive, however she found the support she needed from our group and co-facilitators. Every week she would ask the facilitators for various help that she was unable to do in jail. One day the group members laughed when again she asked for help and apologized if she was asking too much. She turned to them and said “I am serious, this is my life”! It was then that we knew she had a burning determination to make it and we would do whatever we could to help her. When she was released from jail, she stayed for awhile at a shelter, found a job, and began saving her money. Her job was 16 miles from the shelter and she once worked too late to catch the last bus to get back in time for her curfew. She began walking the long trek back to the shelter. She called one of the facilitators (who was out of town at the time) nearly in hysterics that she would be in trouble getting back late (she was still on probation). The facilitator told her not to worry and called the shelter to explain what was happening. They said it would be ok under the circumstances and all was well. Some kind person stopped and gave her a ride the rest of the way (it was snowing). She eventually found a townhouse to share with a friend. She was a diligent employee and soon was given a raise. Her mother would not give her the papers that she needed to get her drivers license and that was another hurdle to cross, but cross it she did. In time her parents allowed her to visit the children and when she felt financially stable, she began the long process to regain custody of them. We have not heard from her for 6 months, but have confidence that is a good sign that she has her kids, a full time job and little time to be calling us. This client participated in one of ACTS' peer support group for Adults Molested As Children, specifically, one at the Prince William County Adult Detention Center in Manassas. When new people come in to the group, we ask them to share whatever part of their story that is comfortable enough for them to talk about. Every time they tell their story something new comes out and it loses a little more power over them. 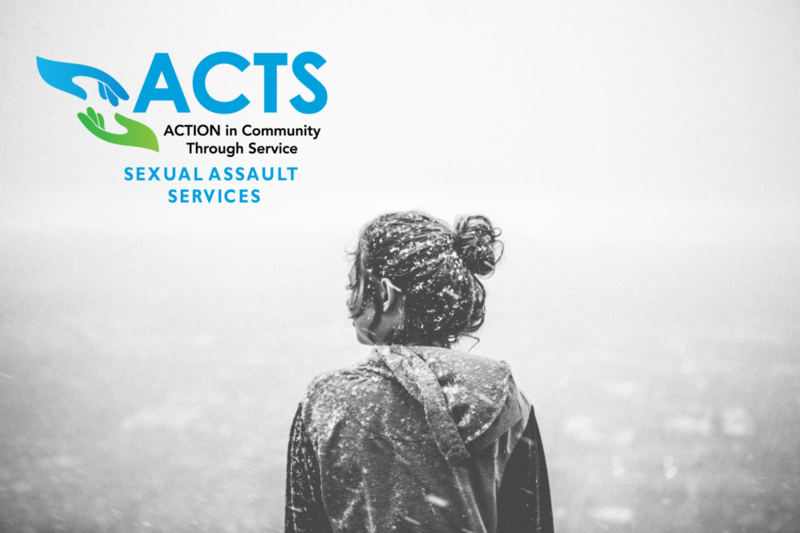 Most of the time is spent talking about the impact that the sexual abuse has had on their lives. Some topics are low self-esteem, trust issues, unhealthy relationships, boundaries, etc. We encourage tears as they cause the body to produce endorphins (feel-good) chemicals. Most survivors think it's weak to cry when, in fact, it takes courage to let yourself feel that vulnerability. They also have difficulty trusting, as most of them were abused by people they knew and/or loved. As with all of our groups, what is said in group, stays in group (Confidentiality is imperative). At this time there is only one AMAC group that meets in the Manassas office on Mondays @ 7:15 pm. This is available to the public but one must come in for an intake before joining the group. Call 703-497-1192 to make an appointment. We look forward to another AMAC group at the Dumfries office in the near future.